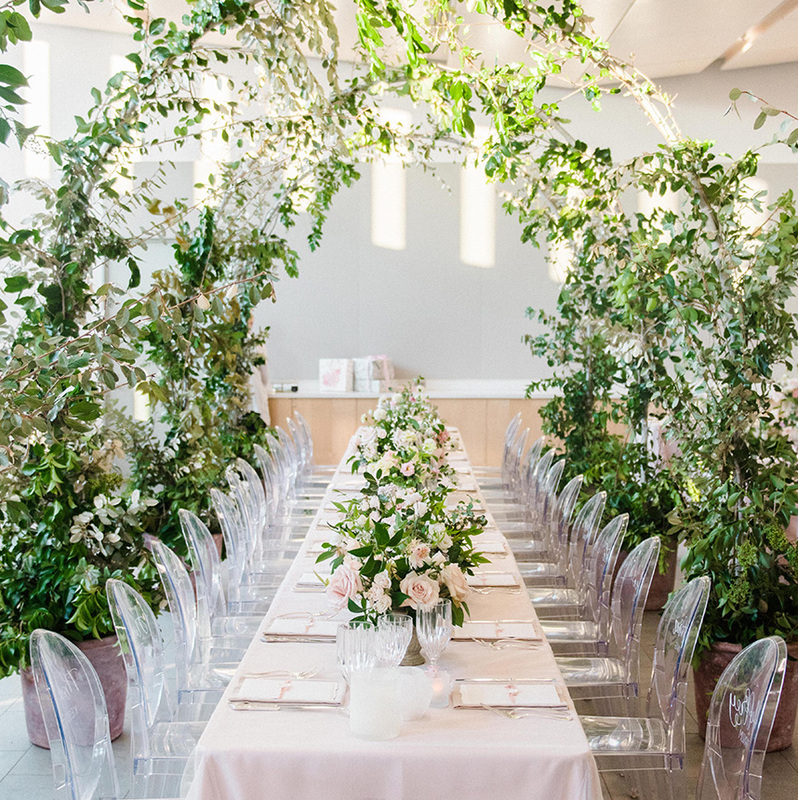 Keeping the details to a minimum and letting the sleek architecture and gardens of McGovern Centennial Park set the scene, Janice and Matthew’s modern organic garden wedding is one to take note of for fresh and simplistic inspiration. With the help of Jennifer Laura Design, the couple’s vision of a clean and unfussy theme was brought to life through the use of nature’s beauty in the venue’s outdoor gardens and indoor floral wall displays and ample greenery in place of overflowing arrangements, all captured by Josh & Dana Fernandez Photography. 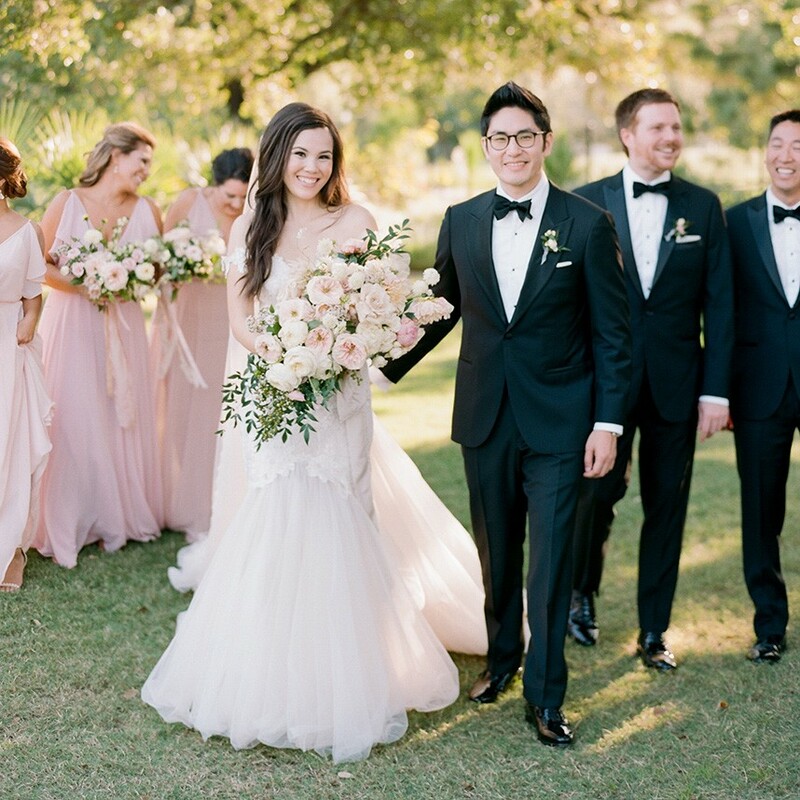 The bride carried a simple bouquet of ivory, cranberry, blush and plum blooms, and kept her look just as classic with a strapless gown paired with a delicate beauty look from Hey Lovely Makeup. 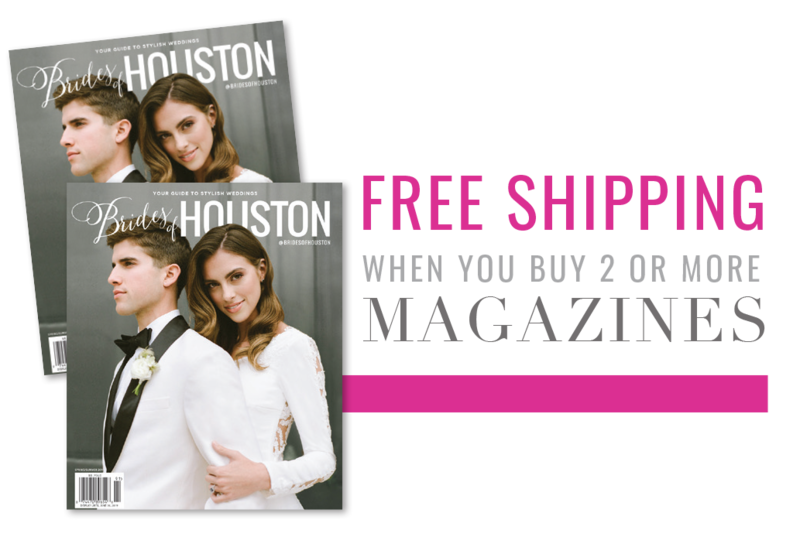 The couple chose to play up fun elements for a more intimate and welcoming reception, creating a colorful photo wall and plenty of fun props to allow for an abundance of opportunistic photo moments. A detail in itself, the dessert table was chock-full of delicious treats from cookies to tartlets, and a simple white frosted cake from Buttercup Bakery completed the scene. 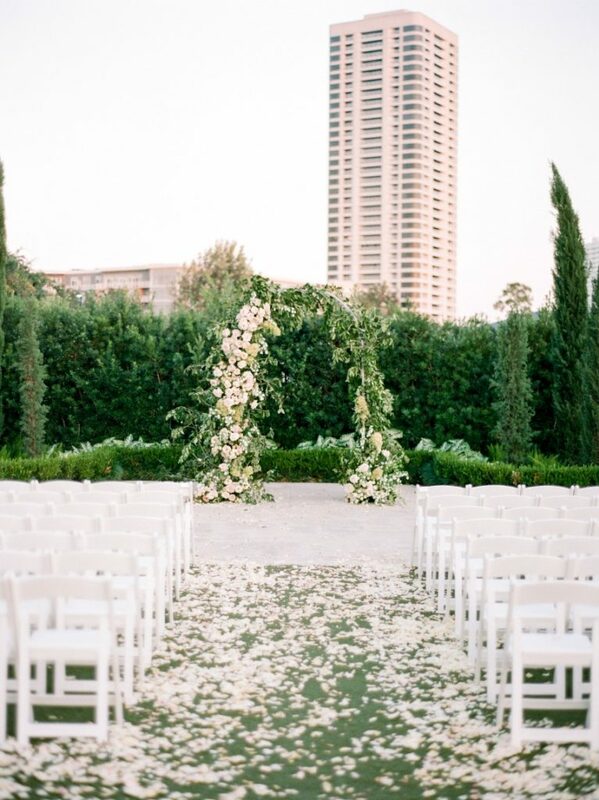 We’re still swooning over the loveliness of this wedding! Cheers!